Make sure you show up to the job polished and ready to get things done with our META Lab Unisex Coat (Style 6116). 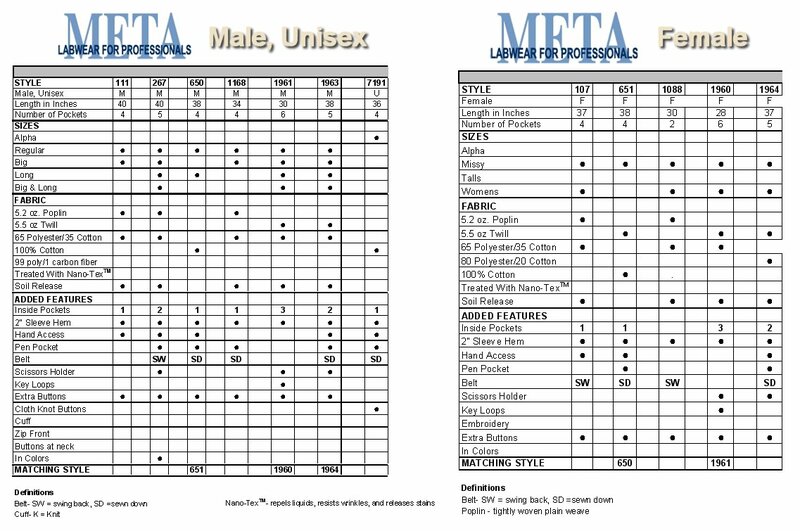 Sometimes, it can be hard to find medical lab coats that not only look great on both genders but fit correctly as well. There’s no fear with this META lab coat – it’s sure to fit both men and women with its sophisticated and sleek look. With its two-piece back swing belt, as well as the various pockets and hand access slits, you’ll be sure that it’s going to make you feel comfortable on the go. Looking to size these fashion lab coats? 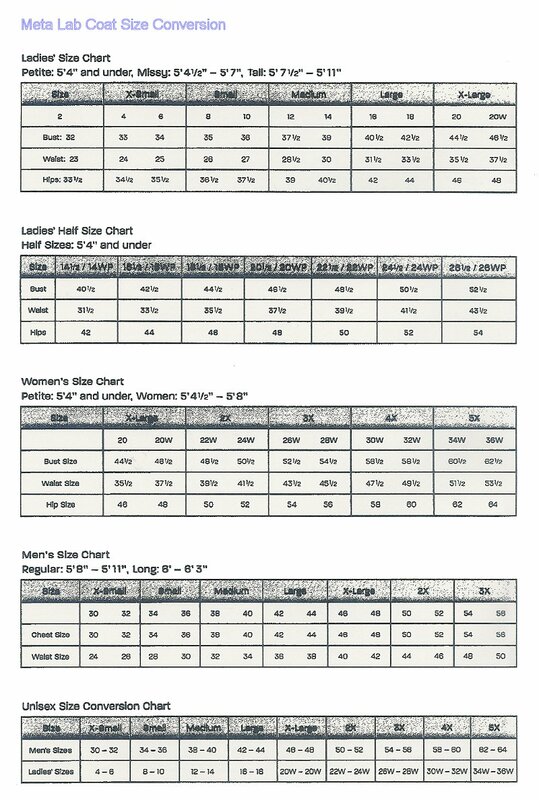 Make sure to check out the META Lab Coat sizing chart below before purchasing.